Home of William Floyd Elementary School Physical Education! Welcome to the William Floyd Elementary Physical Education web page! You will find information that you will have access to through out the school year. 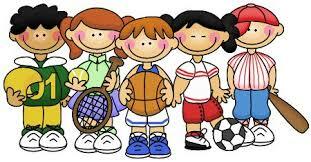 Physical Education that can help your child's development! We are dedicated to help make each student health conscience and physically active everyday! Great act of sportsmanship and kindness! Subpages (5): Email Monthly News! Top Qualifiers Websites Why Exercise is Important!